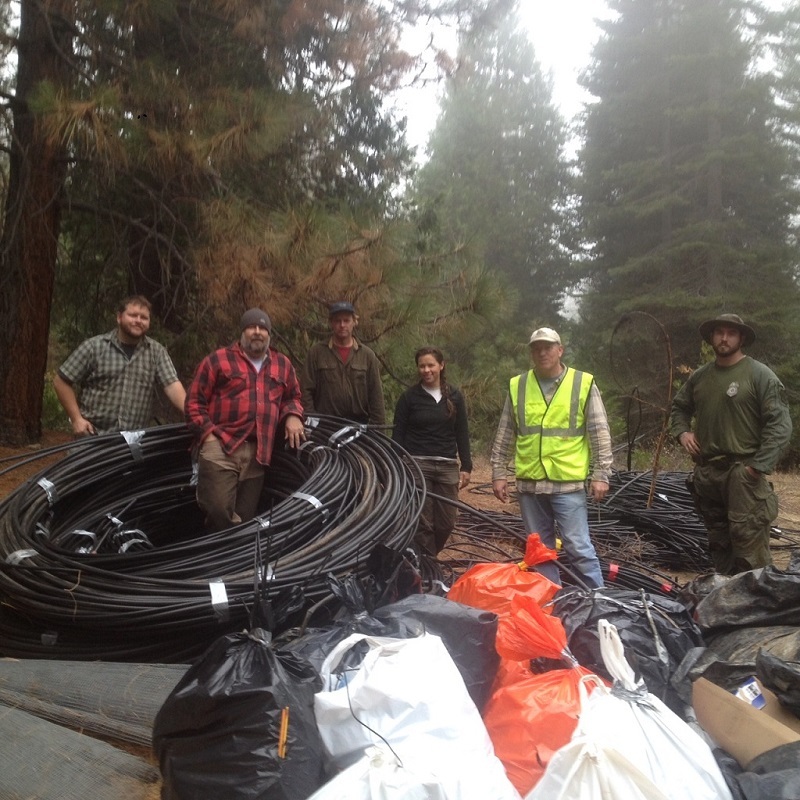 The Environmental Reclamation Team is an arm of the High Sierra Volunteer Trail Crew that cleans up the garbage chemicals and hose left by illegal marijuana grows on our public lands. This is a huge problem that is killing the animals in our forests and poisoning our water, killing our fish and stream related animals and trashing our public lands. We work closely with law enforcement who locates clears and acts as safety for all of our operations. 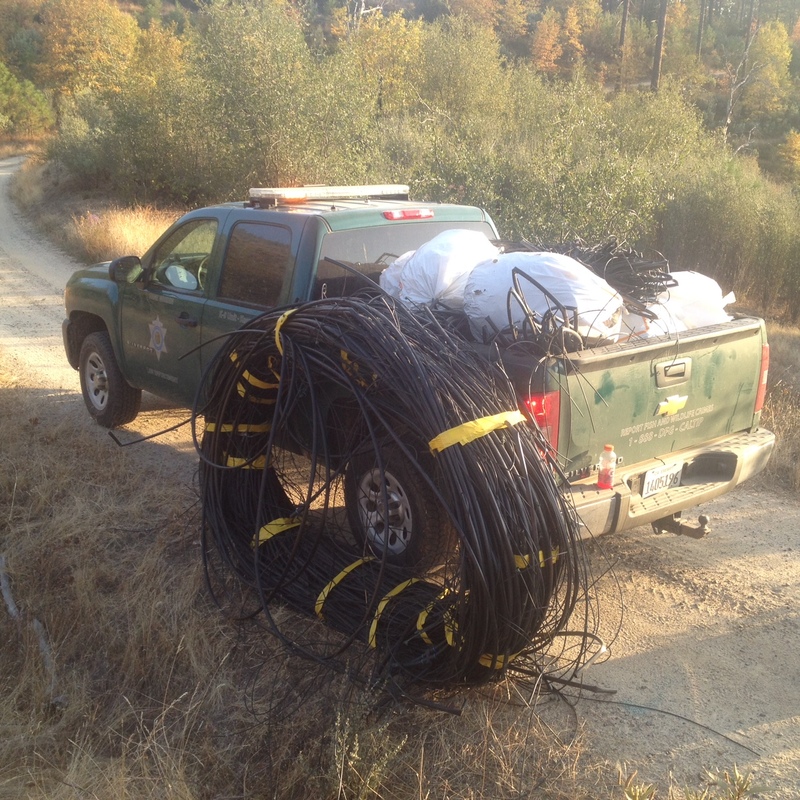 Our volunteers are not involved in the enforcement aspects of the illegal marijuana grows, we just clean them up. This is a great opportunity for people to see first hand what sort of damage is being done to our public lands and act as stewards by cleaning up the trash left behind. Come out and help us clean up our forests.